Finnair is making available a wide selection of international newspapers in digital format for customers on its long-haul flights. As of today, over 50 international newspapers can be read in pdf format through the Nordic Sky portal that is available onboard Finnair’s Airbus A330 and A350 aircraft. Customers can use the portal with their own devices, and do not need to purchase a Wi-Fi connection to access the newspapers. At the same time, Finnair will discontinue distributing paper versions of newspapers on its long-haul flights. Paper issues will remain on European flights for the time being, until Finnair’s European fleet is also equipped with Wi-Fi later this year. At this stage, digital newspapers are provided free of charge in both business and economy class of Finnair’s long-haul flights, as well as on the Helsinki-London-Helsinki flight flown with an Airbus A350 aircraft. 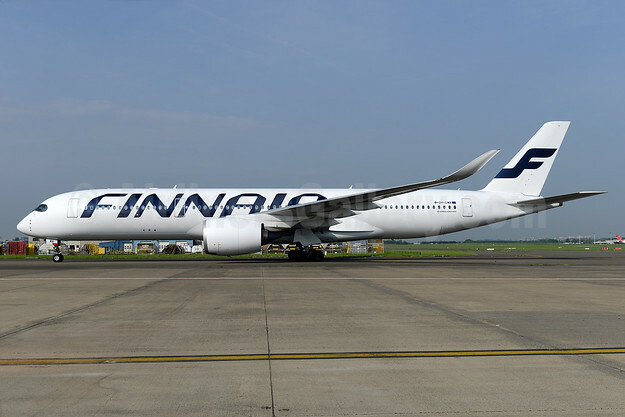 Copyright Photo: Finnair Airbus A350-941 OH-LWA (msn 018) BRU (Ton Jochems). Image: 932911. This entry was posted in Finnair and tagged Airbus A350-941, Finnair, msn 018, OH-LWA on February 9, 2018 by Bruce Drum.